Reuseable functions across processing platforms & mixed signal systems. 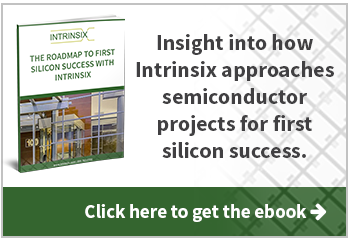 Intrinsix Platforms and semiconductor IP provide unique solutions that can be quickly brought to bear on customer projects. The two most direct and tangible benefits are in speeding time to market and predictability of schedule and outcome. This, in turn, drives down effective cost of development and, of course, accelerates time to revenue for Intrinsix customers. Intrinsix platforms consist of groups of semiconductor IP which have been pre-configured for a particular market or purpose. Often, the Design IP (whether represented by RTL or transistors in a particular process) is paired with Verification IP to create a development suite for that market. A critical aspect of the Intrinsix IP strategy is that we avoid marketing our IP as standalone products. This strategy frees us from typical “Not Invented Here” attitudes and positions our solutions as agnostic in regards to IP choices. Our customer’s view of Best-in-Class price/performance wins the day. Every day. 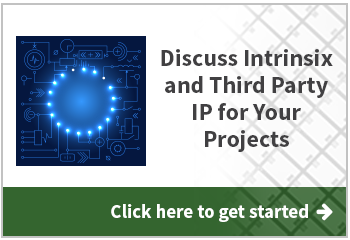 With this approach, we are able to partner with all providers of IP, such as EDA companies and boutique IP companies. New solutions and options appear all of the time and Intrinsix strategy ensures a level playing field for our customers and their choices. Most of the Platforms and IP offered has been derived from focused internal R&D, funded solely by Intrinsix. But a significant portion also comes directly from Intrinsix participation in the Small Business Innovate Research (SBIR) program. This program funds companies to create compelling solutions for government and commercial advancement. Check out our SBIR and Patents page for a complete list. 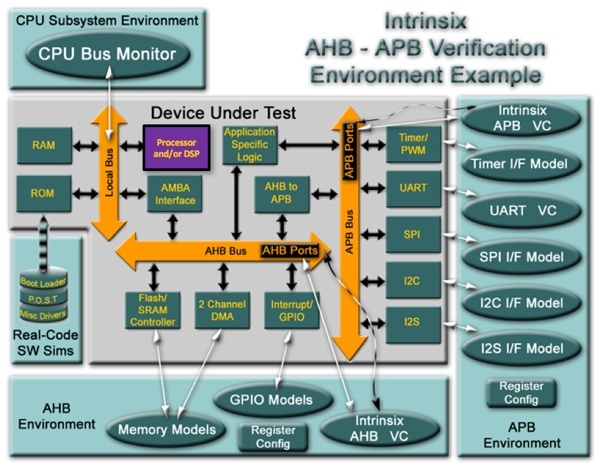 The Intrinsix AIB PHY Intellectual Property is a complete set of hard and soft macros that provides a direct connection to the AIB heterogeneous digital interface for “Chiplet-to-Chiplet” communication. 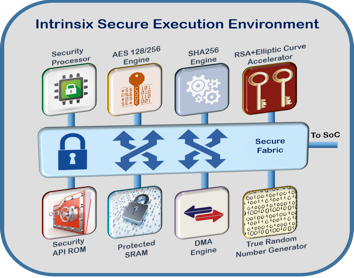 Intrinsix is providing the IP as a standalone package or it can be combined with customization (changes to the PHY) or integration (integrating the PHY in an SoC) services. Both services are outlined below. The macro contains the high-speed process dependent circuitry to minimize the effort involved in adopting the AIB interface standard. Proven macros and flows minimize the risk of achieving first pass success. 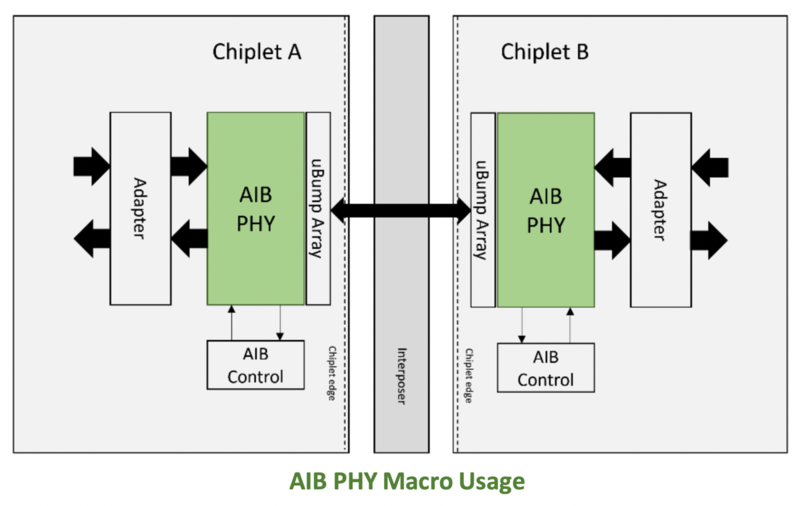 The AIB PHY utilizes a parallel synchronous interface that supports transactional and streaming adapter interfaces. An existing 3rd party interface is available to connect to AMBA AXI interconnect and IP. To support various Chiplet bump densities and technologies the microbump array is external to the PHY macro. Multiple levels of metal are left open to support the routing to the microbump array. Base macros (Channel macro & AUX macro) available now in TSMC 16FFC and GF 14LPP processes. AIB PHY Integration Services are available to ensure that the AIB PHY IP is properly inserted into your design and fully verified at the chip-level. See Component IP file for a detailed IP List. 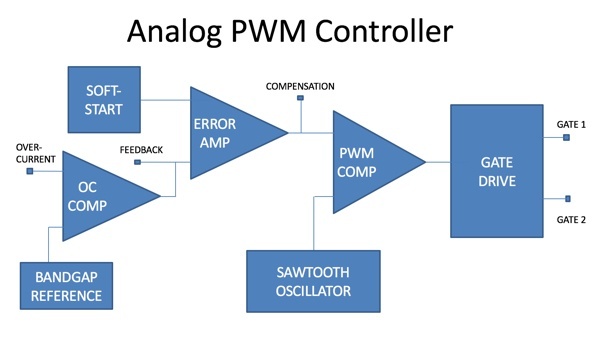 The following Analog and/or Mixed Signal Components (and more!) 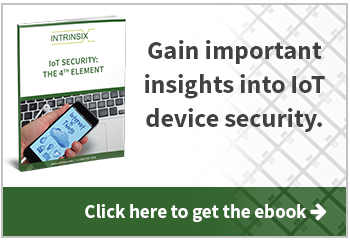 are available to Intrinsix Customers. This IP (both design and verification IP) will help decrease development time while increasing quality and reliability. The Intrinsix Cryptographic Subsystem IP Cores for IoT provide a complete security solution for your IoT ASICs and SOCs. The solution is silicon-proven and provides a full hardware/software drop-in implementation. The Cryptographic IP subsystem core provides all hardware functions including AES 128/192/256b encryption/decryption, SHA-256 secure hash, Elliptic Curve and RSA accelerators, pseudo random and true random number generation, and a secure fabric with DMA. The system also includes software primitive libraries with APIs and higher layer software stacks for public key exchange, authentication, secure boot and secure tunneling (SSL, TSL). The solution establishes a Secure Execution Environment for CPUs from Tensilica, ARM and RISC-V and supports a complete development environment including models, verification IP, and emulator. Pulse-width modulation (PWM) is a modulation process or technique used in most communication systems for encoding the amplitude of a signal right into a pulse width or duration of another signal, usually a carrier signal, for transmission. Although PWM is also used in communications, its main purpose is actually to control the power that is supplied to various types of electrical devices, most especially for inertial loads such as AC/DC motors. 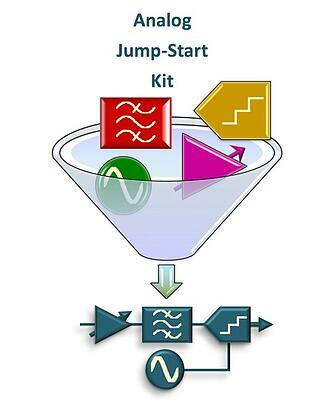 Intrinsix has developed a number of PWM IP components that are highly reusable for new PWM designs. This will reduce engineering time and improve reliability through the reuse of proven designs. 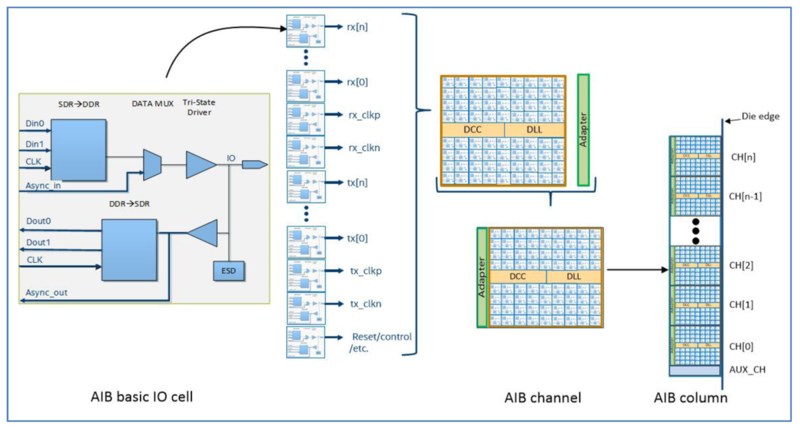 Use of a Sigma-Delta Modulation scheme in the design of Digital-to-Analog Converters (DACs) and Analog-to-Digital Converters (ADCs) allows for very efficient and/or high performance data converters. Sigma-Delta Modulation (aka SD Modulation, SDM or Delta-Sigma Modulation) is not a new technique, but has been deployed relatively recently in a wide range of applications thanks to continued advances in CMOS semiconductor technology. Intrinsix has developed several families of Sigma-Delta based IP blocks that are designed to be inserted into larger designed targeted for standard CMOS processes such as those available from TSMC, UMC, SMIC. Chartered and others. 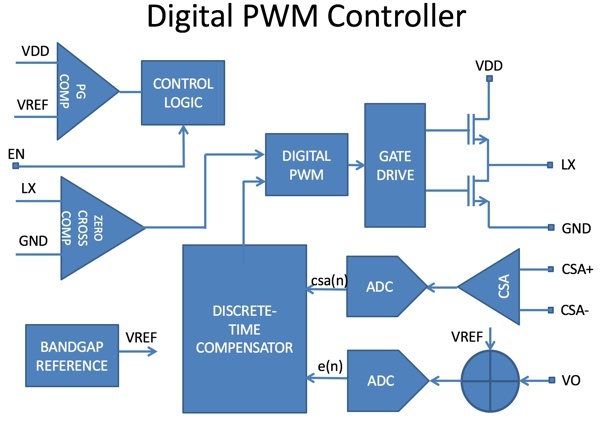 Designing a finely tuned SDM-based device, such as a data converter, can be a very time consuming effort, even by engineers very familiar with the technology. This is where Intrinsix can get you ahead of the curve. 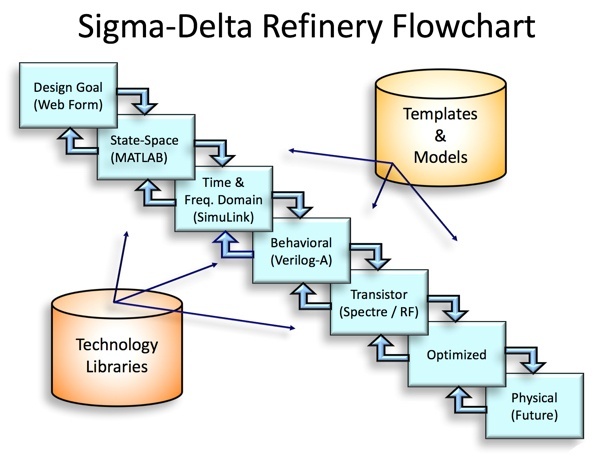 Intrinsix has developed the Intrinsix SDM Refinery, a proprietary design automation suite. 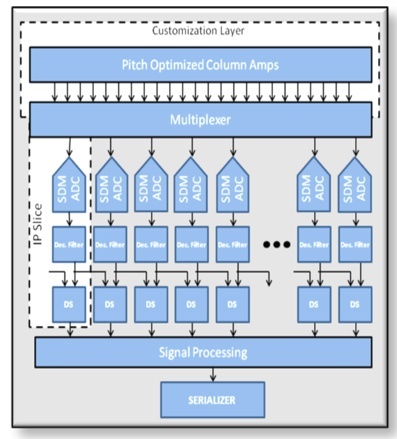 When deployed by our Mixed Signal Design Team, SDM Refinery allows us to quickly produce optimized Sigma-Delta Modulators (SDMs) and SDM-based, over-sampled DACs and ADCs. Not only do the results come faster, but the components developed with the SDM Refinery are optimized far beyond what could be expected from a manual design methodology. This platform is comprised of all components required in a highly-integrated data acquisition solution for smart sensors. It is targeted at high precision requirements such as MEMS accelerometers, gyros, pressure sensors, magnetic sensors, battery and electrical sensors, and other custom sensing applications. It includes the analog signal conditioning, analog to digital conversion, filtering, digital signal processing, control-plane processing, protocol engine and serial communications. All blocks are programmable and configurable to optimize performance to a given application, and the platform includes much of the software needed for common signal processing and serial communications. 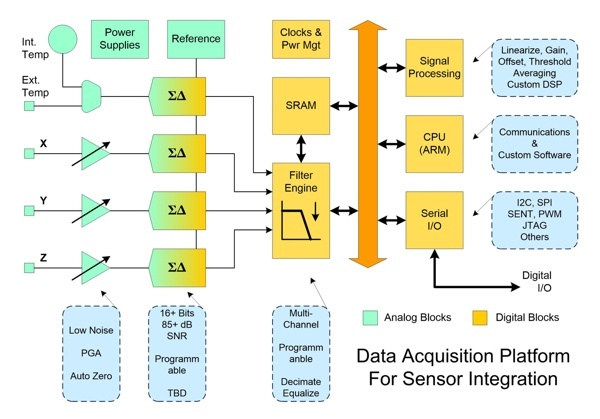 The Data Acquisition Platform for Sensor Integration uses IP blocks which have been developed by Intrinsix and targeted into a comprehensive mixed signal solution, including analog, digital and software components. The internet of things (IoT) is the internetworking of physical devices, vehicles (also referred to as "connected devices" and "smart devices"), buildings and other items - embedded with electronics, software, sensors, actuators, and network connectivity that enable these objects to collect and exchange data. Intrinsix has experience and IP related to the many disciplines that compose IoT-based projects. 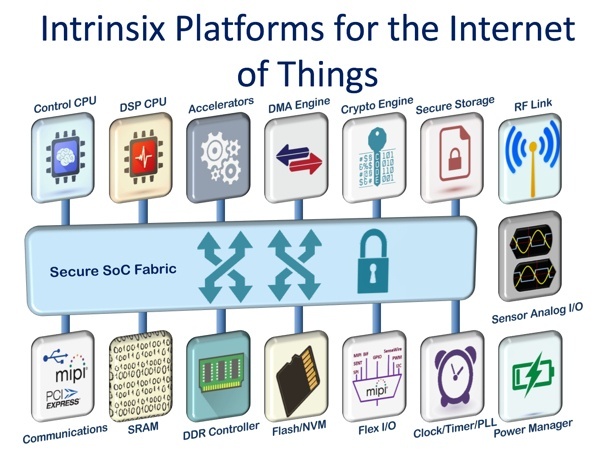 The following graphic shows the entire range of IoT domains where Intrinsix has previously worked, and where seamless design and verification IP can be utilized to shorten new IoT design cycles, improve security and to improve probability of successful outcomes through the reuse of IP from previously successful designs. Most IoT systems will only use only a subset of these elements. Copyright © 2016-2018 Intrinsix Corp. All rights reserved.